Imagine a proverbial case of free lemons. Most restaurant operators I talk to see a card board box full of sour problems. At minimum they complain, because they have an extra cardboard box to break down. The better operators are grateful. They see an opportunity to make lemonade or lemon box pie they can sell with a low food cost. The winners see the seeds of a chain of lemonade stands making them millions! I have a client named Mike who is such a winner. We recently started working with him on his catering business, creating catering menus, marketing pieces and a catering lead generation website. Now the catering websites we design for our clients are great marketing pieces. One included element is the lead capture form that feeds into the RCS Catering Software CRM. The form asks your website visitor to complete some qualifying questions. For instance, if someone is looking to book an event for eight people, they’re probably not a highly qualified lead. Another lead generation tool we provide our clients is the Catering Giveaway Promotion. Instead of capturing business cards with a Catering Giveaway fishbowl, entrants are required to fill out a questionnaire with qualifying questions like how many people work at their office. These entry forms allow you to determine whether a recipient is qualified, thus deserving of a free catered lunch for their office. This is a short cut method to get in front of more qualified catering decision makers with a complimentary tasting. Since Mike doesn’t have much foot traffic in his operation, he has had us take the Catering Giveaway Promotion and add it to his website. This helps him increase qualified leads. The first thing Mike did was create a pop-up box on his restaurant’s regular website. As our catering website is newer, he is piggybacking off the popularity of what he already has. The pop-up window directs the visitor to click to enter a catering giveaway. They are then whisked off to our catering lead generation website to complete the entry form. So what else is Mike doing to capture qualified catering leads? 1) Email blasts. Most of his customers sign up for his online ordering, which then gives him permission to blast them weekly with marketing messages. This has produced the best results immediately. 2) Facebook. Mike has almost 10,000 followers, plus he finds their targeted advertising to be the best price to reach a new customer. He says it costs pennies to reach a person. This gets good and bad leads, so it's more to filter. Some people are just too far away, and others give him just their home address. 3) LinkedIn. He is just starting to work on that, so no major results to report. 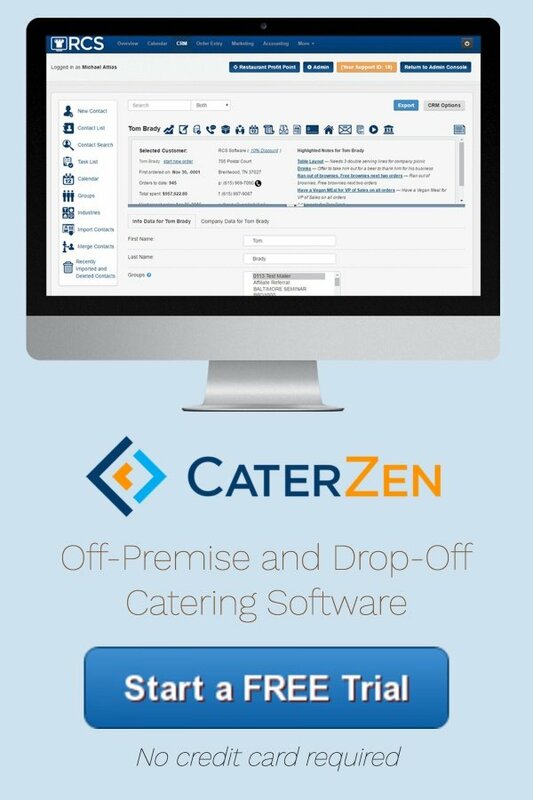 Our software has a LinkedIn search tool in our Sales Tempo catering lead generation tool. I love LinkedIn, since it is the “Facebook” of business. 4) Twitter. It is similar to Facebook, but he doesn’t do ads. He integrates his Facebook auto post to his twitter account to keep it active, since he doesn’t always have time to update twitter. 5) Instragram is his next step. He updates it personally, but hasn't really pushed the contest yet. Wow! That sounds like a lot to generate catering leads. In fact, it isn’t. Look at the list above. Most of the people he is targeting with the Catering Giveaway Promotion are existing customers. This is like taking the catering giveaway sign and putting it on steroids. You want to use every tool at your disposal to make sure all of your customers know you cater, and find an in with the companies they work for. Kudos to Mike for “plusing” one of our ideas. We will definitely be adding the contest page to catering lead generation websites. NOTE: The Louisville Catering Seminar I did last week was a huge hit! We had an excellent turn out with a lot of engaged operators, who shared generously. I am a big believer that half the benefit of attending a seminar is the networking opportunity and what you learn from fellow participants. 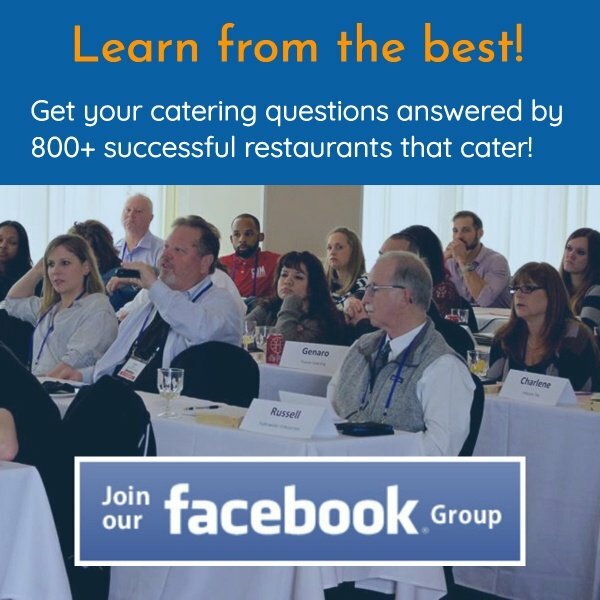 In the spirit of working to help our community of RCS Catering Software clients (and future clients), we are putting together an extraordinary catering conference for restaurants called Caterpalooza!